Using Water Responsibly | Waterless Co Inc.
As most people know, California is now in its fourth year of drought and 2016, which could be the fifth year, is sending us mixed signals. January was very wet, but February was bone dry. However, what many people do not realize is that the state is handling this drought much better than those in the past, specifically the 1976 drought that had the state on its knees. · Water is no longer being taken for granted as if it were in never-ending supply. · Increasingly, users are being charged the true costs of gathering, storing, delivering, and removing water. · Federal regulations now mandate the amount of water toilets and urinals can use per flush—1.6 gallons for toilets and approximately 1 gallon for urinals. · Many water districts have expanded water capacity, preparing for future droughts. · Water shortages are no longer a “local” issue. If one area of California experiences a shortage, water may be pulled from nearby areas where it is more plentiful. · All consumer water-using devices—from dishwashers to washing machines—feature new technologies to reduce water consumption. · A new water mentality has evolved. Businesses and industries now view reducing water consumption as not only the “right” thing to do, but it’s also in their best business interest. · Variable-rate irrigation systems allow farmers to use water more selectively; additionally, farmers have implemented irrigation scheduling and soil sensors to determine water needs. · Water audits, which were unheard of 40 years ago, are commonplace. Water audits help determine where water is being used, where it is being wasted, and where use can be reduced. · Rebate programs have been introduced to help consumers and facilities install more water-efficient systems. Although many of these changes were the result of state and federal regulations, do not underestimate the power of private industry. Manufacturers of water-using products have taken the initiative and developed products that use far less water than is mandated such as toilets that use about 1.25 gallons of water per flush or less, instead of 1.6 gallons. Urinals are now being developed that use about half a gallon of water per flush, and waterless urinals, which are actually an older technology, are receiving renewed consideration because they eliminate water use entirely. When it comes to water, we’re all in the same boat. We can talk about shortages and droughts in California or in other states or in other countries. But the reality is water is an issue impacting the world. Many say water will be the oil of the 21st century. We cannot control Mother Nature so our only option is to use water more responsibly and more efficiently, and that is up to each and every one of us. A frequent speaker and author on water conservation issues, Klaus Reichardt is founder and managing partner of Waterless Co. LLC, Vista, Calif. Reichardt founded the company in 1991 with the goal to establish a new market segment in the plumbing fixture industry with water conservation in mind. The company’s key product, the Waterless No-Flush urinal, works completely without water. 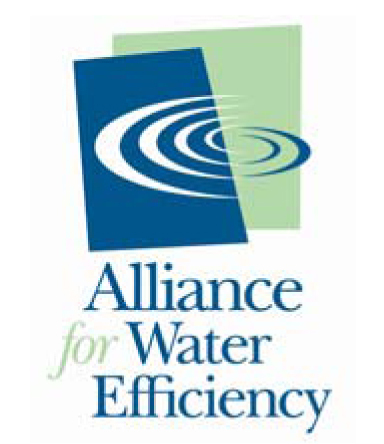 *Unlike water conservation, which is short-term action, water efficiency refers to long-term water reduction strategies. Newer PostAre you a World Water Day genius?